In Olympia, WA, homeowners have a unique climate to deal with, meaning that their home must be able to do the same. Thankfully, ductless heating and cooling systems are the perfect solution for the diverse needs of residents in the area, saving them energy costs and keeping the home comfortable all year long. Learn about ductless systems and how they can benefit you and your loved ones below. What Is a Ductless Heating and Cooling System? Ductless heating and cooling systems, sometimes known as mini-split systems, are small units that can be installed or mounted on walls to heat or cool a space without ducts. These systems are ultra-quiet and energy efficient, making them great for homes and small spaces. 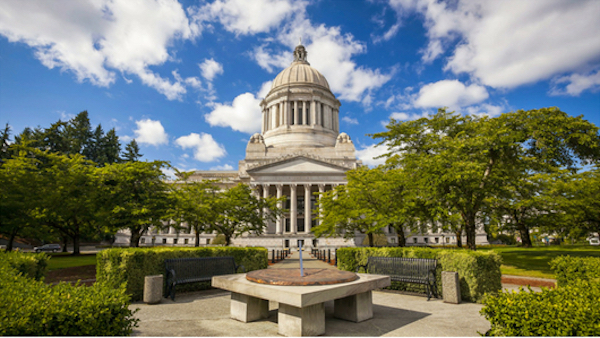 Saving energy and protecting the environment is an issue close to the hearts of many Olympia, WA residents, and the installation of a ductless heating and cooling system can help you do just that. Traditional centralized air conditioning and heating systems use up a lot of energy to send cool or warm air throughout a house. However, ductless heating and cooling provides homeowners with the opportunity to select which rooms require temperature control, and which do not. To save even more energy, homeowners can consider purchasing smart thermostat controls that allow you to program when a ductless heating and cooling system is turned on or off. For example, homeowners can program ductless air conditioners to turn off on cool summer nights to save energy costs. We’re extremely lucky to be surrounded by incredible fresh mountain air in Olympia, so why should we expect anything different in our homes? Ducts attached to traditional centralized heating and air conditioning systems are known to circulate dust and debris around a home, sending air around the home that is less fresh than outdoor air. Whether or not you require high-quality indoor air due to respiratory issues or allergies, a ductless heating and AC system allows you to keep fresh air circulating year-round. Pairing functionality with energy efficiency means that environmentally-savvy homeowners can enjoy a temperature controlled home conveniently. Many modern ductless heating and air conditioning systems come with useful features, such as timers and Wi-Fi connectivity. These smart systems allow you to turn your heating or air conditioning on or off even while you’re away from your home. Are you seeking an efficient and effective heating and cooling system for your Olympia, WA home? Join many other happy homeowners in the Pacific Northwest and get in touch with Alpine Ductless today to learn more about how a ductless heating and air conditioning system can benefit you.